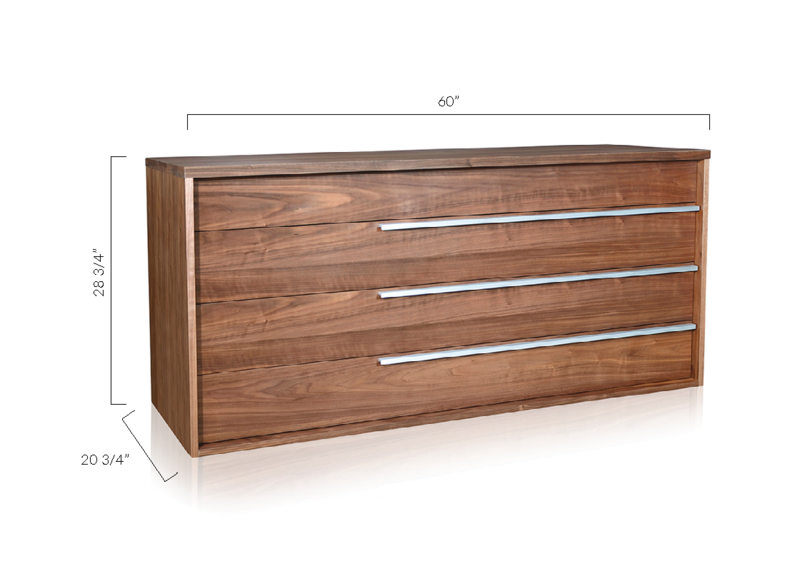 With its classic design and modern minimalist flair, the Ana Contemporary Dresser Walnut will never go out of style! Each surface of this dignified dresser is arranged with straight lines and right angles crafting a pure and simplified look that enhances your decor without becoming a distraction.Four large drawers enable you to stow away your prized possessions in an organized fashion.Complete your modern bedroom look by pairing this dresser with the other pieces in this collection such as the Ana nightstand. L: 60" * W: 20 3/4" * H: 28 3/4"